Couleur : noir. AUTO PIECES DE L'OUEST. 44800 SAINT HERBLAIN. Injection molded plastic/carbon arm rests with replaceable velcro pads. Signature required on receipt. · This warranty is limited to normal use of the cycle / product, stunt riding bicycle racing, or similar activities are not covered by the warranty. 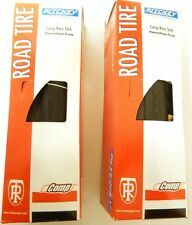 Tubeless tape for converting tubeless ready wheels to tubeless. 25mmx33M roll. We owe it all to listening to you. Video will open in a new window[isdntekvideo]. 1278B Loop Rd. Leichter, jedoch sehr stabiler Vorbau von Ritchey. Der WCS steht bei den Vorbauten für Qualität, insbesondere in Sachen Gewicht, Härte und Stabilität. 31,8 mm Lenkerklemmung. nichtrostende Stahlschrauben M5. Schraubbare Griffe aus Neopren. inklusive Lenkerstopfen. Komponenten MTB. Superlight Neopren Foam schwarz. Auch hier können Sie DotLiquid-Variablen verwenden, z.B. andere Globale Texte, wie. schnell mit Inbus-Schlüssel zu montieren/demontieren. Marke Ritchey. Noir Mousse néoprène Superlight. Décrivez votre entreprise de sports KW en quelques courtes phrases ici. Encore une fois, vous pouvez utiliser des variables DotLiquid, par exemple d'autres textes internationaux que. Hinge clamp for boom tube of Break Away Tandem. We are out East at 3063 Columbia Ave. - Lancaster PA, 17603 and out West at 3481 Old Conejo Rd. #105 - Newbury Park, CA 91320. - We have great prices! Ritchey WCS Megabite Tire 700X38 Tubeless Ready Black. Tubeless tape for converting tubeless ready wheels to tubeless. 25mmx33M roll..
Ritchey Comp Megabite Tire 700X38 Black. I have two sets of DX hubbed wheels. I only need one set, so the other set can go. Ritchey WCS Shield Cross Tire 700x35 Folding Bead Tubeless Ready Black. 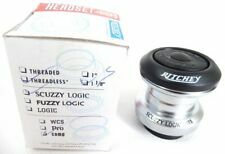 Ritchey Front Hub Conversion Kits. We are out East at 3063 Columbia Ave. - Lancaster PA, 17603 and out West at 3481 Old Conejo Rd. #105 - Newbury Park, CA 91320. - We have great prices! Ritchey Comp Trail morsure Mountain Tire 27,5 X 2.4 noir. - Compatible with threaded Presta valve tubes that have a removeable valve core - Black anodized aluminum with laser-etched Ritchey logos. Ritchey WCS bouclier croix perle 700 x 35 pliage pneu Tubeless noir prêt. 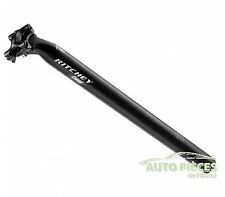 Patte de dérailleur arrière Ritchey Outback pour cadre en acier. MPN: 55000007009 - Ritchey - Patte de dérailleur - Patte de dérailleur. Les deux services comprennent le suivi. POTENCIA: realizada en aluminio 4-Axis con una longitud de 110 mm, ángulo de inclinación de 6º, para tubo de dirección de 1"1/8 y de manillar de 31,8 mm, con un peso total de 170 gramos. 31,8 mm Lenkerklemmung. nichtrostende Stahlschrauben M5. Ritchey: WCS OS 120 mm. 6°/ 84° Winkel. Farbe: bb black. 3D kalt und hohl geschmiedet. Länge: 120 mm. Pince à charnière amovible de tube diagonal du Ritchey : 45mm, noir. Pièces de rechange châssis et pinces de charnière pour les cadres de Ritchey Break-Away. NPP : 55352007003 - Ritchey - pièces de châssis amovible - châssis divers fournitures. Ritchey Comp Z-Max Evo Mountain Tire 27,5 X 2.8 noir. Ritchey WCS Trail morsure Mountain Tire 27,5 X 2.4 Tubeless noir prêt. COMP level components are designed to bring competition worthy components down to a price that everyone can handle. You wont find carbon here, but you will find the kind of performance and reliability you expect from Ritchey. Ritchey WCS Z-Max Evo Mountain Tire 27,5 X 2.8 Tubeless Ready noir. Pince de charnière pour tube descendant Ritchey Break-Away: 34.9 mm, noir. Pièces de rechange châssis et pinces de charnière pour les cadres de Ritchey Break-Away. MPN: 55352007002 - Ritchey - Pièces de cadre de rupture - Fournitures de cadre diverses. MPN: 55305347001 - Ritchey - Derailleur Hanger - Derailleur Hanger. - We have great prices! We are here to help! Ritchey Comp Z-Max Evo Mountain Tire 27.5X2.8 Black. Ritchey Comp Trail Bite Mountain Tire 27.5X2.4 Black. MPN: 55000007009 - Ritchey - Derailleur Hanger - Derailleur Hanger. We are here to help! - We have great prices!